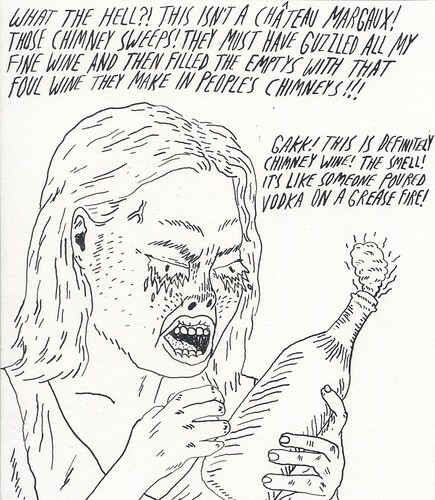 Chimney Wine Slurricane #4 re-do, a photo by willlaren on Flickr. yet another one of my old drawings I re-drew for Slurricane #4 (which now looks like it will be ready either mid November or early December). I'm saving up all the new drawings I did for it until after the zine has been released. over 75% of it is going to be unpublished content!